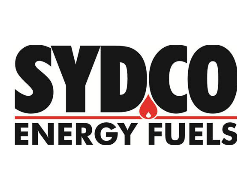 Sydco Fuels is a full service oil company that delivers home and commercial heating oil for both residential and commercial customers all over Cape Breton Island. Sydco Fuels is Cape Breton’s trusted name in home heating comfort, delivering quality products and experience to a growing number of homeowners, businesses and service industries on the island. Sydco has been a family owned and operated business since 1982. They offer competitive pricing, a superior customer experience and daily delivery throughout Cape Breton Island. With over thirty years experience, they pride ourselves on making things personal and being easy to work with. You’re not just a customer, you’re family with Sydco. Scotia Propane is Cape Breton’s leader in home and commercial propane delivery since 1999, equipment supply and customer service. Their fleet of bulk supply trucks and experienced technicians are on the job around the clock, serving customers across Cape Breton. Their team of experts will help you understand the benefits of propane-fueled appliances for your home or business. Scotia Propane can help you select the best products designed for you to enjoy lower energy costs and fit your lifestyle. Their reliable and safe propane products consist of bulk propane, propane storage tanks installation or replacement, their outstanding customer service guarantee, commercial propane delivery, residential propane delivery, auto delivery, fireplace cleaning programs, interest-free budget plans, and local billing. From clean, safe storage of bulk propane at your home or business, and reliable delivery, to service and repairs on your gas fired boiler, water heater or furnace, Scotia Propane’s professionals provide you with excellent service and peace of mind.